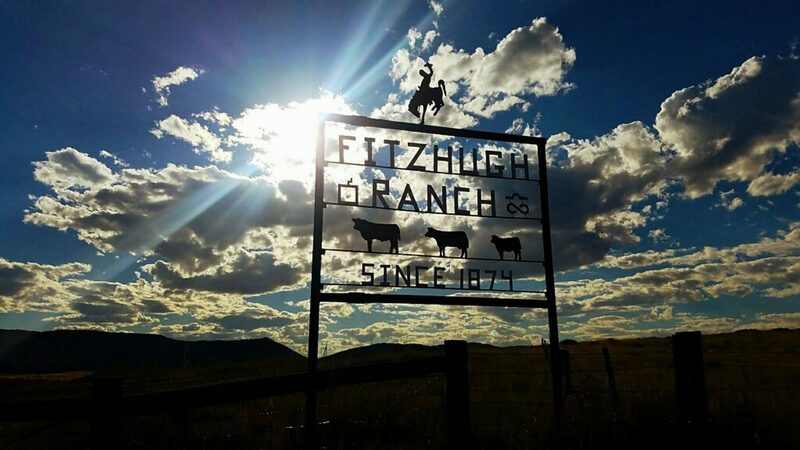 The Fitzhugh Ranch, occupied by the third and fourth generations, is older than the state of Wyoming. The ranch, located 10 miles south of Douglas, Wyo., was founded by 82 year-old Jim Fitzhugh’s grandfather, Gordon Vaughn. Fitzhugh and his family operate the current spread and leased ground. Vaughn’s father, John William, was a doctor in Virginia. His plantation was located where the Arlington Cemetery is located. William left the East Coast in 1849 in search of gold in California. He doctored in Fort Laramie for smallpox, Jim said, and continued to California in 1850. His son, Vaughn, left his home in California traversing to Old Mexico to make five trails to Sheridan with cattle. He landed at the ranch homestead and staked his claim in 1874. The current ranch has all of the original ground, though Jim’s dad bought and sold other land during his reign. Jim took over the ranch in 1950 having lived there all his life, and was joined by his wife Marilyn in 1954. They still live in the original house that was homesteaded when Wyoming was a territory, not a state. Part of the horse barn remains as well. Hereford cattle composed the original herd until 1984 when Jim decided to switch to Red Angus. The Fitzhughs received the title of Outstanding Commercial Producer in 1997 and 1998 by the Wyoming Beef Cattle Improvement Association and were named the 2015 Pioneer Producer of the Year by Northern Livestock Auction. “We’ve been blessed. For the last 20 years, we’ve had one buyer buy our cows 19 times,” he said. The Fitzhugh Ranch boasts a large framed cow-herd. Dana keeps records of each of the animals on the ranch including each calf’s individual weight and pre-conditioning in the fall, and specific information on what each cow produces. “We keep structure in our cow herd. We prefer a 5’8” frame. Our heifers that we sold last fall weighed over 600 in seven months,” Dana said. They have marked their Red Angus with a coffee grinder brand because it shows up better on the cattle, Jim said. Dana uses a mill iron lazy reverse S that was from Jim’s maternal grandfather. Changes and improvements are necessary to survival, Jim said. In addition to gradually transitioning the herd to Red Angus, Jim sprayed the entire sagebrush population on the ranch and installed 46,000 feet of water pipeline, 15 springs and seven wells. The Fitzhughs transferred from saddle horses to four-wheelers in the late 1990s. 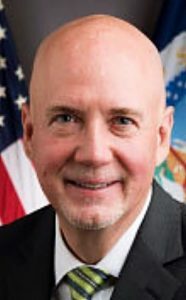 This also allows Jim freedom to keep ranching. The neighbors act as the Fitzhugh Ranch’s hired man. “Branding, shipping, processing, we share with the neighbors,” Dana said. Their relationship with neighbors has been long-standing. “Some of the neighbors have been here probably 50 years,” Jim said.